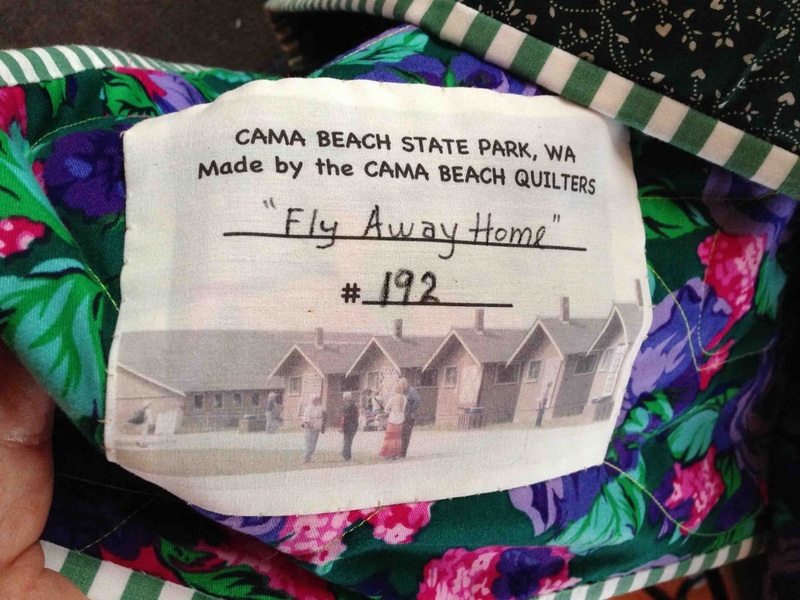 Each Spring since 2011, Cama Beach Foundation has been honored to receive a beautiful quilt from the Cama Beach Quilters. 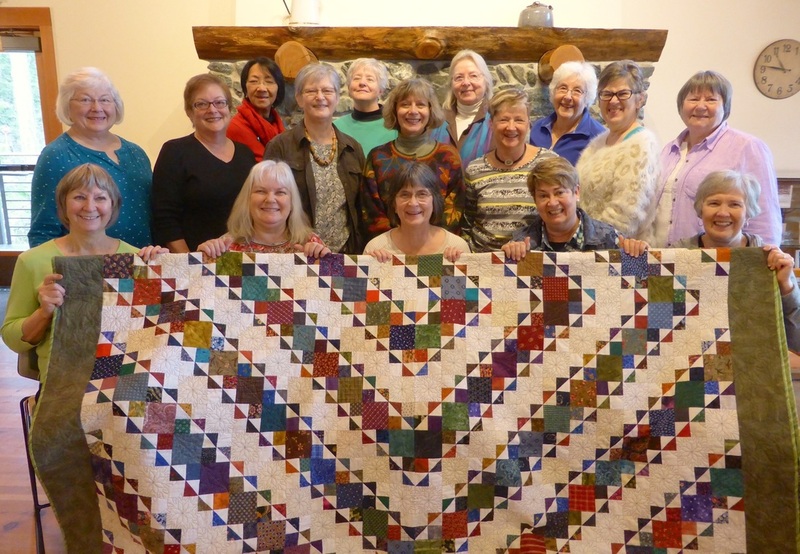 CBF raffles off the quilt and the proceeds are used to support our Education Programs. The drawing for the quilt is always held during Harvest Festival. Join us at Cama Center to see who wins! 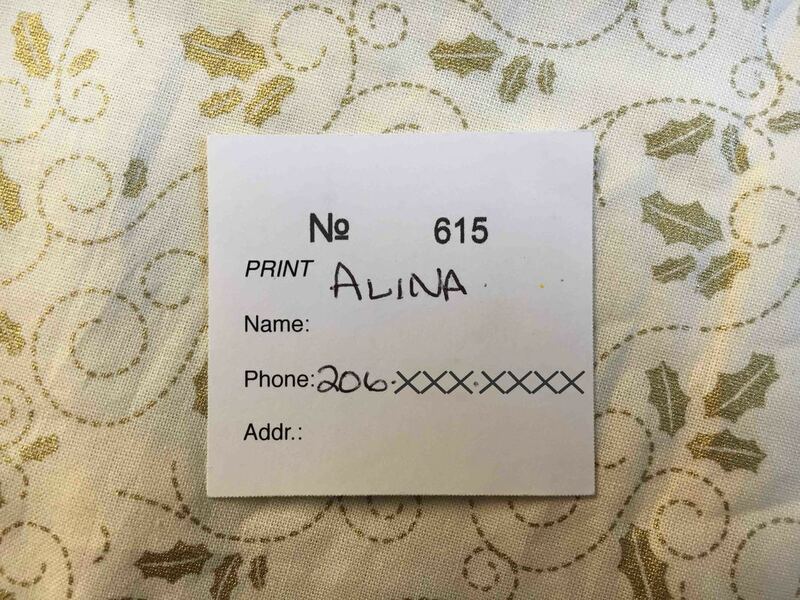 The raffle drawing was held during the October 21st Harvest Festival and the lucky winner was Alina from the 206. 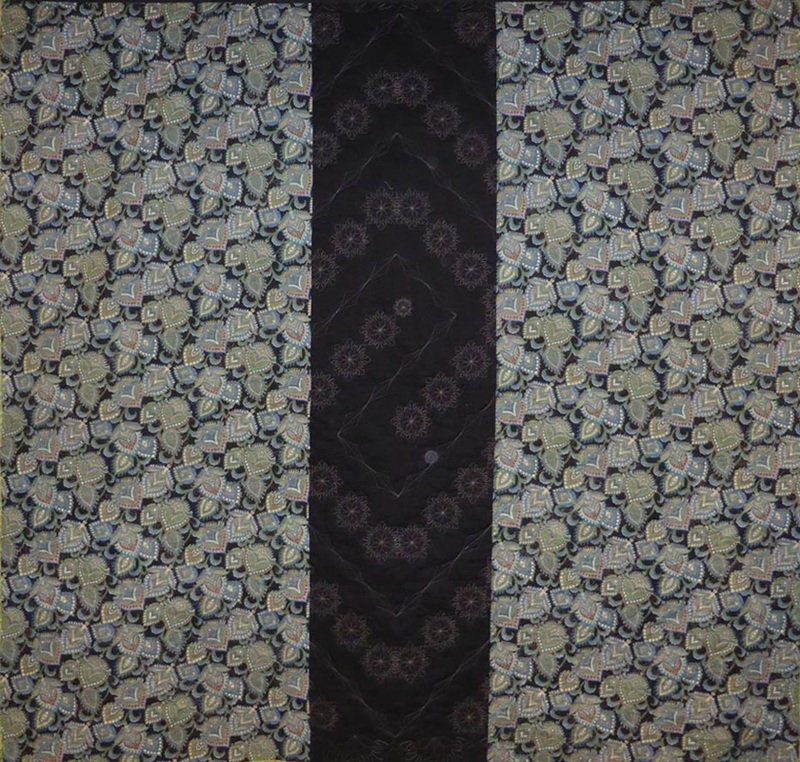 This mesmerizing quilt measured 92" x 92", large enough to fit any size mattress. The raffle drawing was held on Saturday, October 22, 2016. 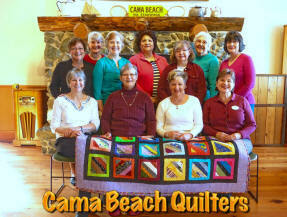 The quilt raffle was held on Saturday, October 24th in Cama Center. 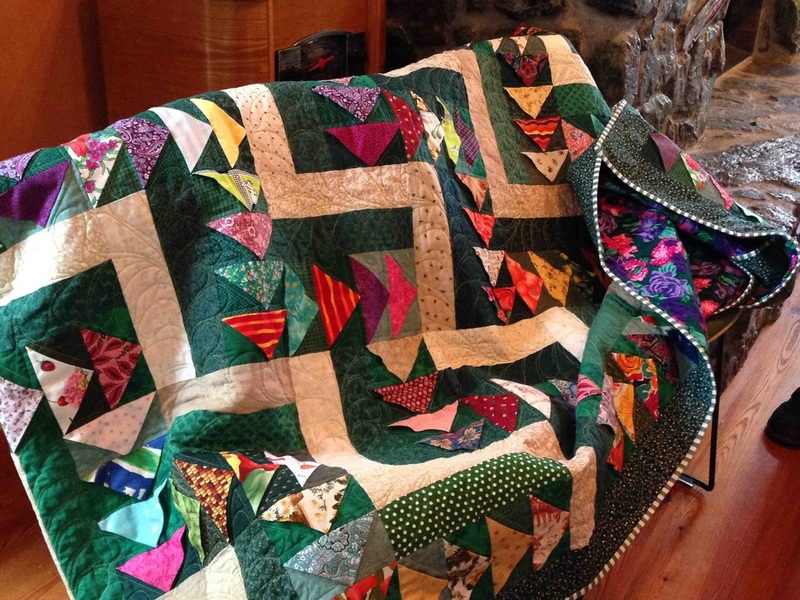 The quilt dimensions: 77" x 85"
This interesting quilt displays multi-colored two dimensional flying geese, that follow rail fences diagonally across the surface of this predominantly green and beige queen-size quilt (102" x 84"). 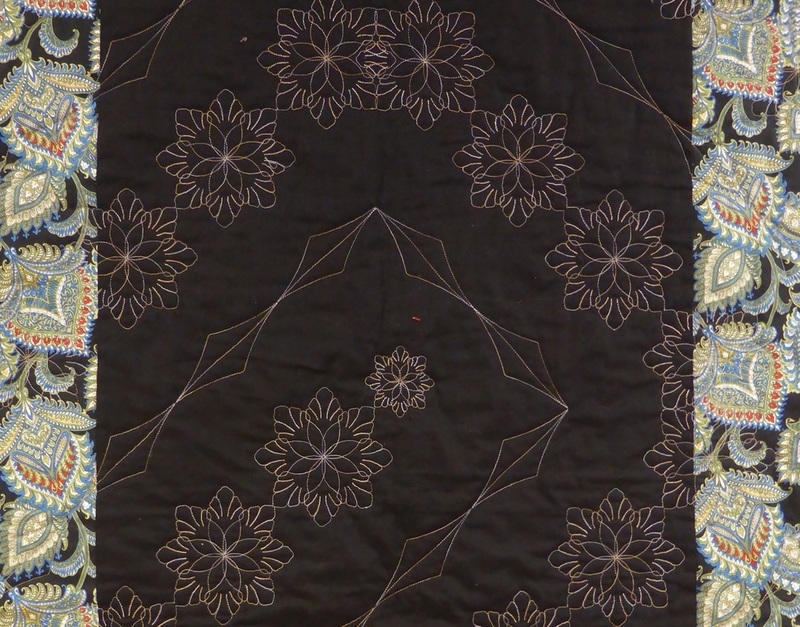 The flying geese motif is echoed in a large version on the back which has a purple and green floral border. The avian motif is also evident in the quilted feathers and plumes created by the quilted patterns sewn into it. Green and white binding finish it off. It is shown here set onto a black frame. Can you see the flying geese? How about the white rail fences? The quilt's backside is a wonderful compliment to the front. 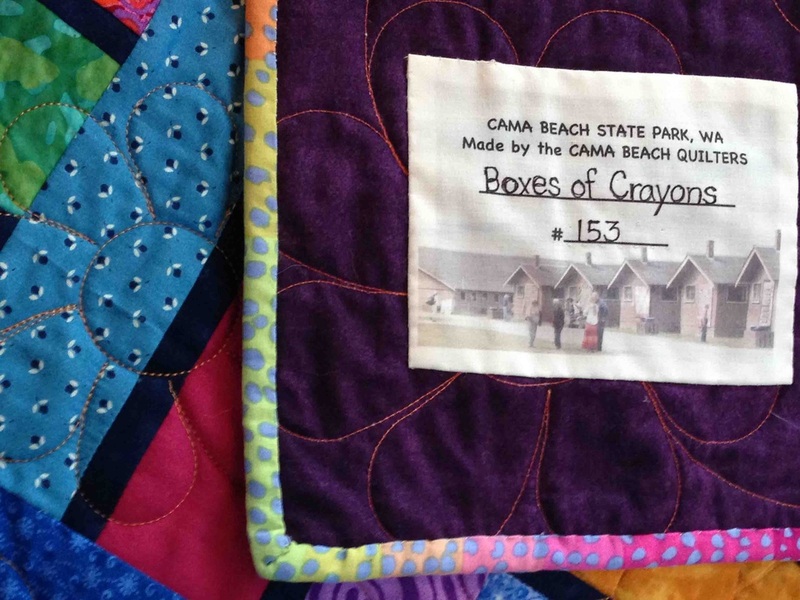 The Cama Beach Quilters have supported Cama Beach State Park with their quilting endeavors since the start of the Park. They are appreciated by us all. 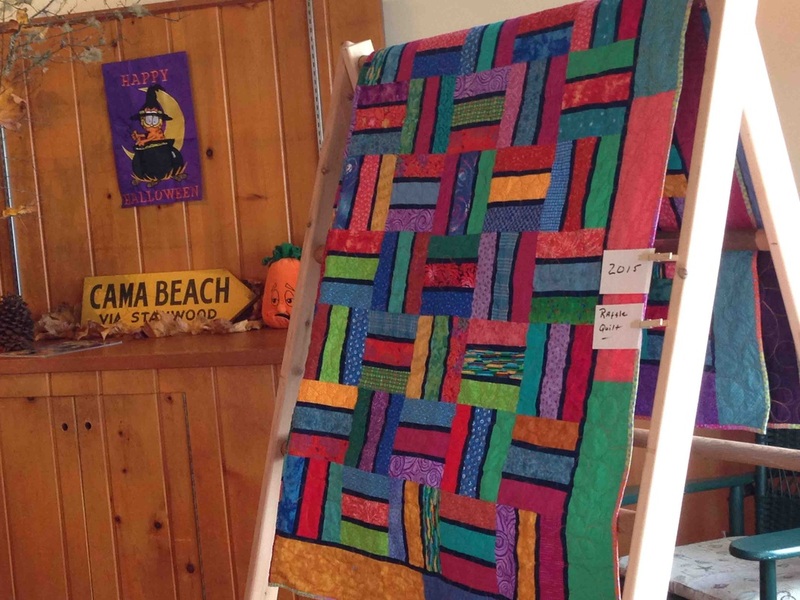 Come and enjoy the "Quilts on the Beach" Festival. 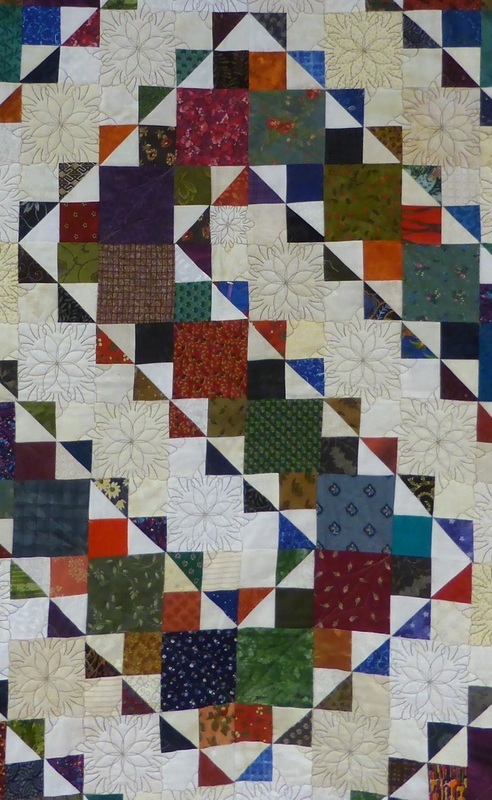 Saturday July 26, 2014 and meet the quilters. This quilt with a clean Scandinavian look was made by the Cama Beach Quilters using an assortment of blue and green fabrics which form braided strips that alternate with a Laura Ashley vine border. It is a generous double size, measuring 76.5" x 78". Check out the back! 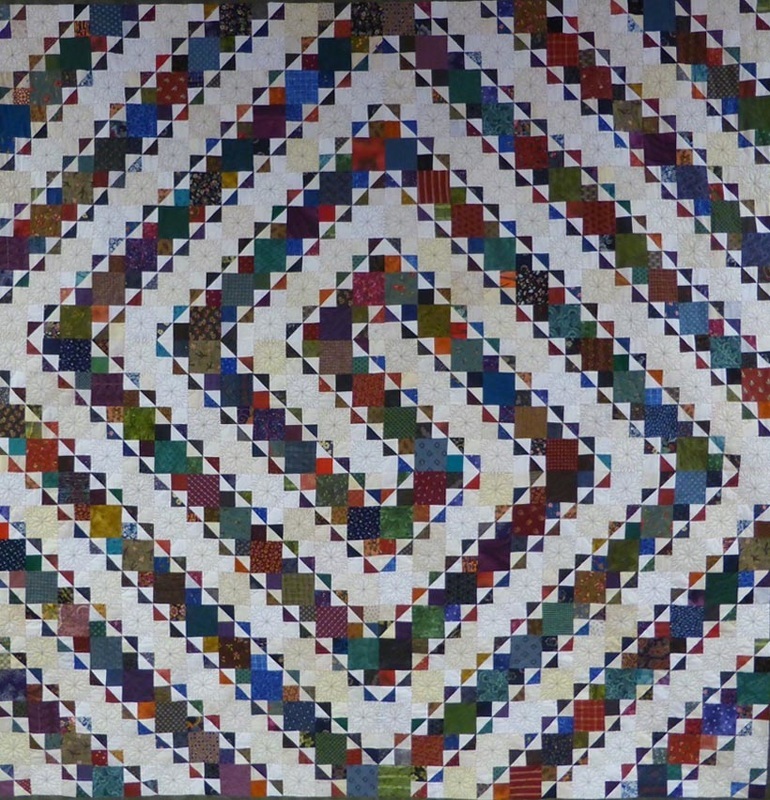 It is almost another quilt. 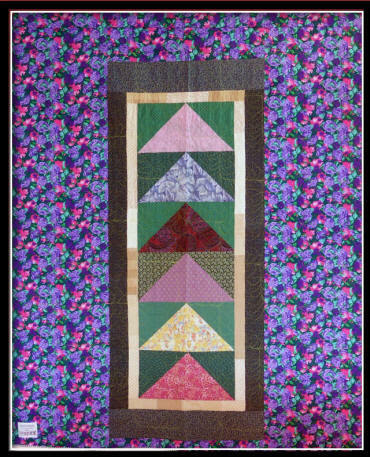 It was machine-quilted by Susan Palmer of Stanwood. Look closely and you'll find the Twin Towers, Asian lanterns, and fruit motifs in the patches. All proceeds from the sale of the raffle tickets go to support Cama Beach Foundation educational programs in Camano's two State Parks.